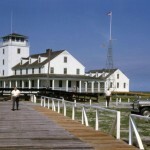 Not far from the harbor–just beyond the ferry slips and public docks–is the former Ocracoke Coast Guard Station. 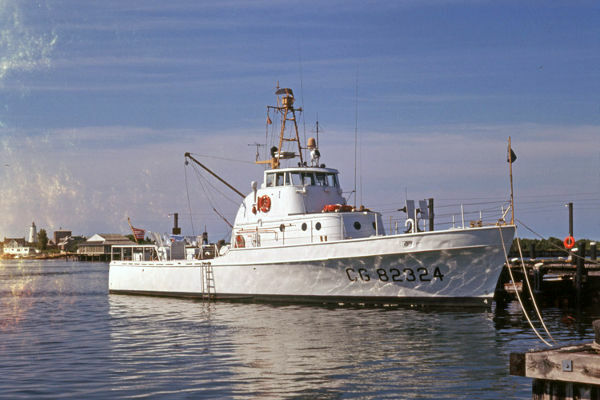 Before the Coast Guard, the organization responsible for patrolling and rescuing men from shipwrecks was the United States Life-Saving Service (USLSS). 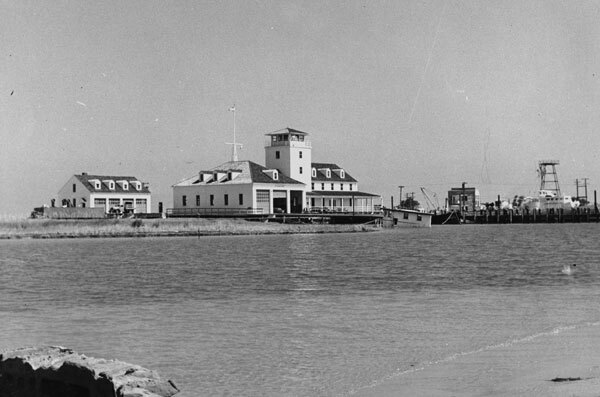 The USLSS began in 1848 as a private and local effort to save the lives of those “in peril upon the seas.” In the 44 years of its operation, it employed thousands of men in 279 stations and responded to 28,121 shipwrecks, offering rescue to 178,741 men, women, and children. 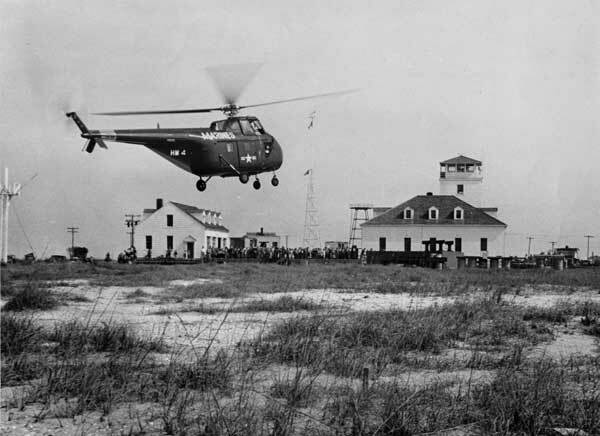 The life savers risked their lives in the most severe conditions (hurricanes, raging seas, and frigid temperatures) and spent many trying times (pulling a 1000 pound beach cart many miles through soft sand and rising sea water) to rescue 177,286 people. 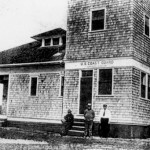 Because of their efforts, they had over a 99% success rate. 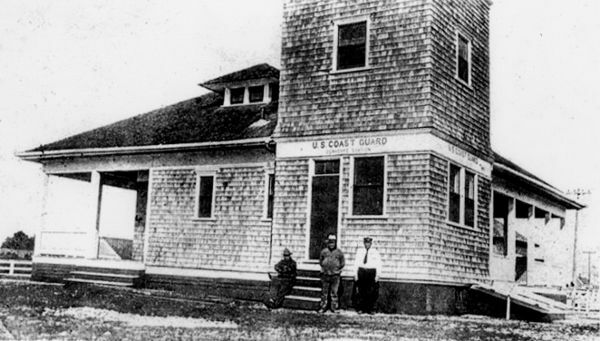 The original Ocracoke Village Life-Saving Station was constructed in 1904 just behind where the present building stands and merged with the Revenue Cutter Service to form the Coast Guard in 1915. 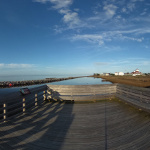 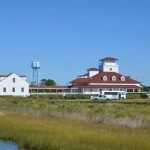 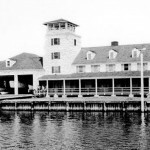 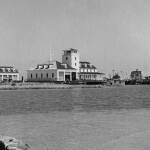 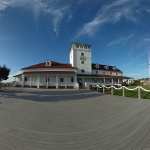 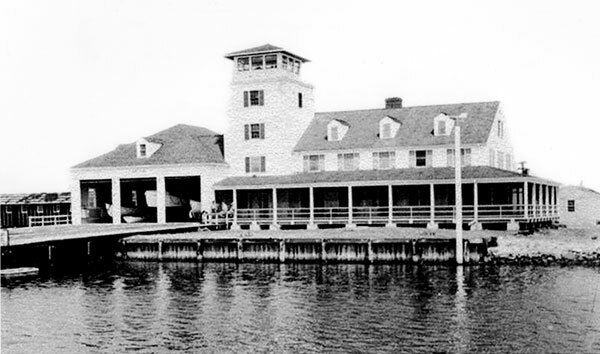 A new station called Station Ocracoke–the present building–was built in 1939-1940, becoming Coast Guard Station #187. 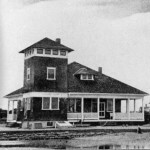 After its completion, the old building was demolished. 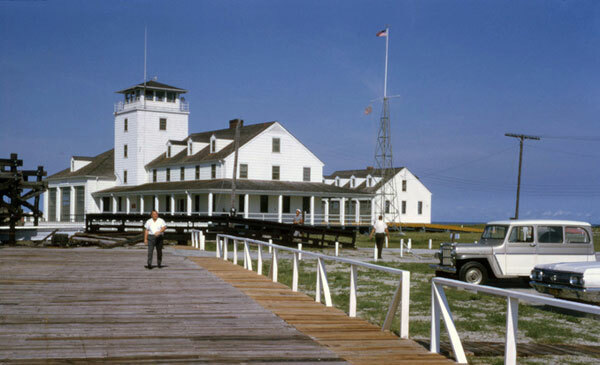 Station Ocracoke was eventually made a sub-station of the Hatteras Inlet Station. 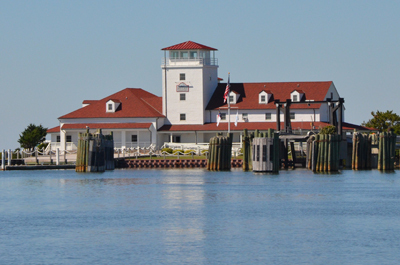 There is still a small Coast Guard presence on the island, and their “Area of Responsibility” includes more than 1350 square nautical miles of Atlantic Ocean, one third of the Pamlico Sound, and half of Ocracoke Island. 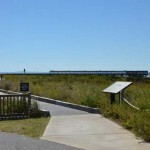 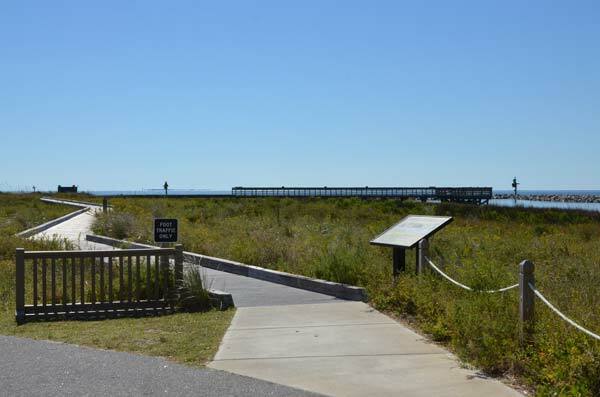 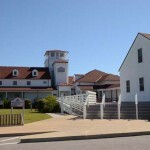 The station is overseen by Station Hatteras and operates seasonally. 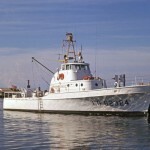 The boat crew is available 24 hours a day and responds to more than 100 calls each year. 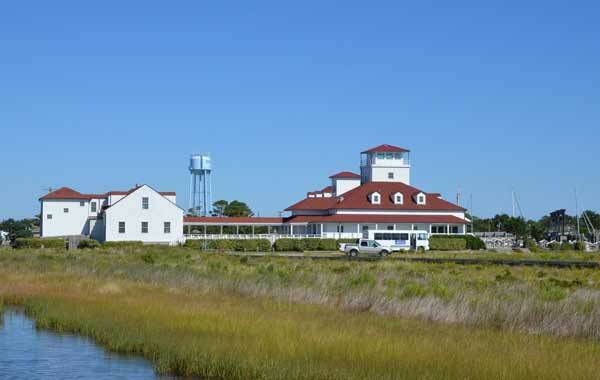 They conduct boating safety, marine environmental protection operations, search and rescue, and law enforcement. 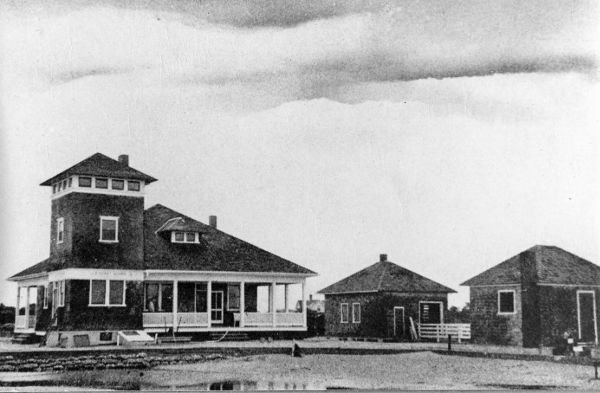 They are also responsible for maintaining the British Cemetery. 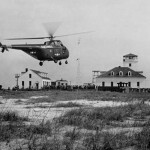 In 2001 the federal government transferred the unused Coast Guard building to the state of North Carolina. 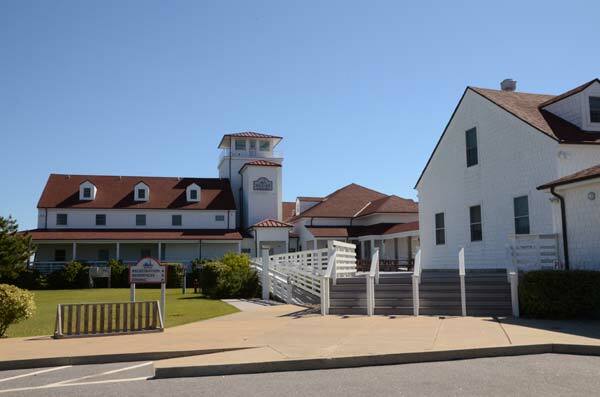 Today this historic building houses the Ocracoke branch of the North Carolina Center for the Advancement of Teaching (NCCAT), the second site in North Carolina, to make it more accessible to teachers in the eastern part of the state.